PICTON, ONTARIO, CANADA, September 11, 2018 /EINPresswire.com/ -- Screaming Power recently received funding through SOSCIP’s Accelerator HQP Grant that will further accelerate its research partnership with Ryerson University on integrating climate, market and energy consumption with Artificial Intelligence (AI) and Machine Learning (ML) to create Cognitive Conservation. Cognitive Conservation is a new idea and method developed by Screaming Power to describe its new cognitive framework to encourage improved decision-making by energy users. This Framework has 3 layers where applications communicate through a process layer with sensors and smart devices to make decisions based on goals and market status. The outcome will be balanced decision making using information gathered from historical data, current sensors / smart devices to provide adjustments that would be optimal to meet desired goals. Conservation becomes "cognitive" when all the statically-configured buildings of a community or building portfolio are replaced with self-adjusting and self-aware buildings. Statically-configured buildings are not cognitive, because they need a human to make decisions and modify their configuration. The promise of Cognitive Conservation is that a smart community itself can find optimal ways to conserve and tune community building behavior to achieve its best performance with existing assets and market inputs. As the building portfolio becomes more integrated with external information, it will be able to optimize for events that have not happened but are likely to happen. Work to date has focused on building out its Mobile Energy Data Platform infrastructure with validated energy data from many data clouds and validating Screaming Power’s machine-learning/Artificial Intelligence (AI) models. Screaming Power has invented and is now proposing a novel method for energy conservation through its Cognitive Conservation approach. This new approach leverages Screaming Power’s Mobile Energy Data Platform already implemented to improve decision-making by both energy users and suppliers. 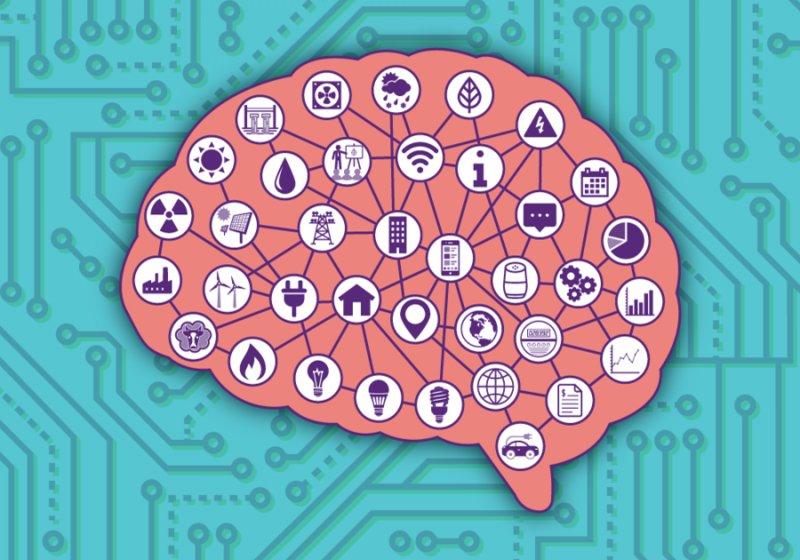 Cognitive Conservation makes use of cutting-edge technology that intelligently helps smart communities and utilities predict energy savings through improved information and education. The CFO of Screaming Power, Greg Doucette, states that “Working closely with our research partners, Ryerson and SOSCIP, is a key advantage providing access to important Ontario resources that assists us in developing novel methodologies and IP in energy marketplace worldwide”. This HQP grant will provide training opportunities for a Ryerson Master of Computer Science student working with Screaming Power’s big data platform to gain practical experience using machine-learning models in the energy industry. Ryerson University is Canada’s leader in innovative, career-oriented education. Urban, culturally diverse and inclusive, the university is home to more than 45,300 students, including 2,600 Master’s and PhD students, 3,800 faculty and staff, and nearly 198,000 alumni worldwide. For more information, visit www.ryerson.ca.